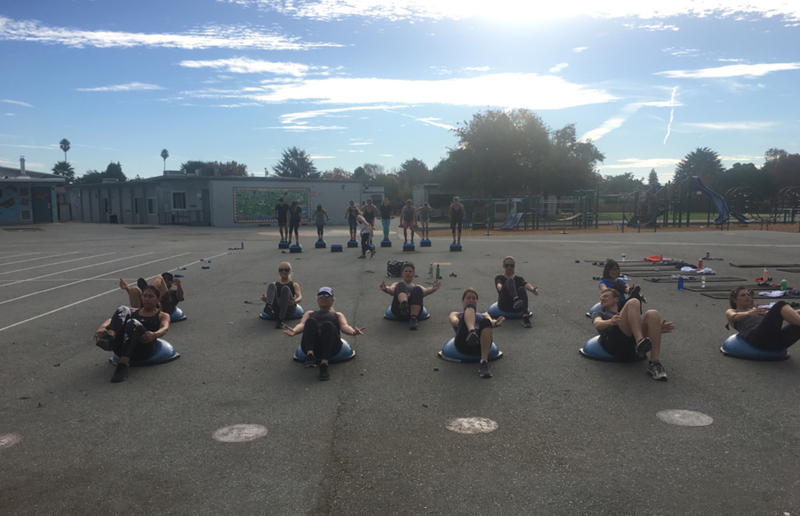 Join us for BodyFit’s 3rd Annual Turkey Day Bootcamp! Can you believe it…THIRD! Join us at 8:30am on Thanksgiving Day for the best pre-feast, booty-kicking bootcamp in Santa Cruz. We’ve got some new ideas to get you feeling toned and tight before the holidays commence, so get your name on the list ASAP to secure your spot! Bodyfitters can sign-up in person at the studio, and you can sign your friends and family up, too—we’re sure they will be suuuuuper thankful for your generosity in sharing this bootcamp experience with them ;) Everyone over the age of 16 is welcome. Pre-registration required, and you must have bootcamp entry fee of $25 cash/person in order to sign up, no exceptions--thanks for understanding! We can't wait to spend part of Thanksgiving with you BodyFitters whom we are so very thankful for! Please meet at BodyFit's Studio1 by 8:20am on Thursday, November 22nd and we will walk to nearby Bayview Elementary School where the bootcamp will take place. Wear tennis shoes, make sure to bring water, and get ready to SWEAT!